Today was Day #6 of Chocolate and Mint Theme Week. 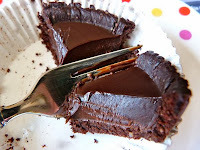 Thankfully, gluten-free tart, tort and pie options have multiplied in the past decade. More important, there are better tasting and healthier alternatives now available. 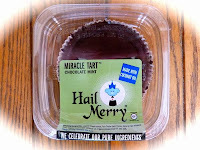 Being able to buy today's gluten-free Chocolate Mint Miracle Tart from Hail Merry LLC (Dallas, TX) with a great-tasting, crunchy dark crust and a satiny chocolate mint filling was, well, almost miraculous. All hail things chocolate and gluten free. 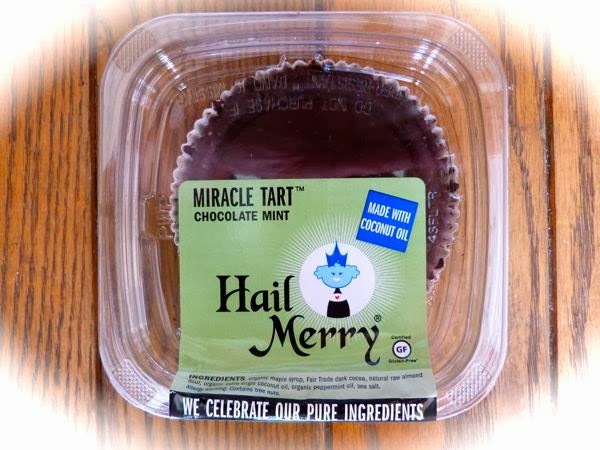 All hail Hail Merry.